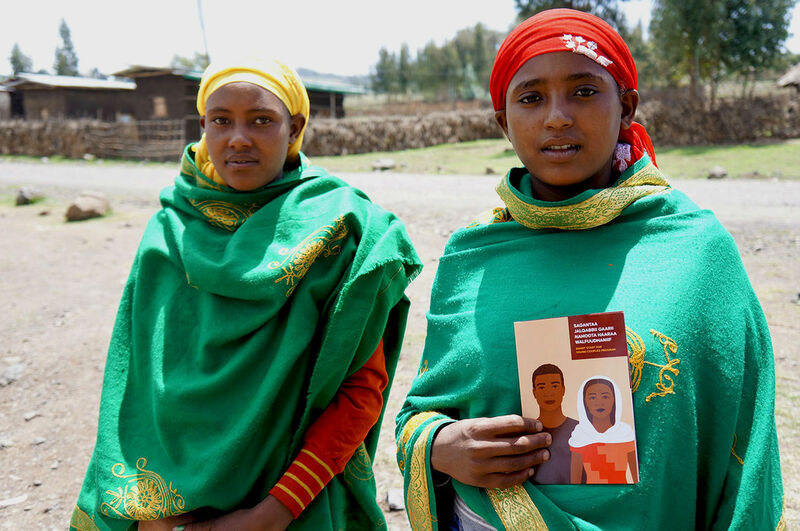 The nimble system and compelling message that’s changing the narrative of contraception from taboo to tactical in rural Ethiopia. 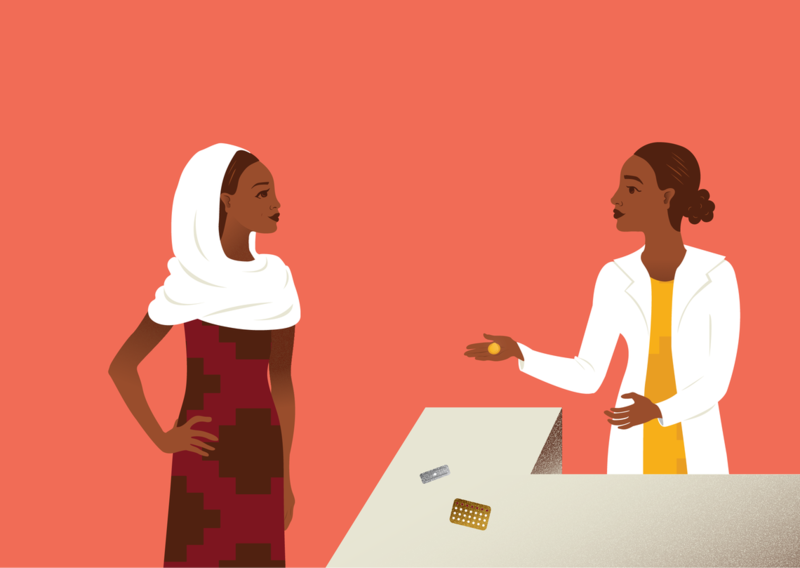 The Adolescents 360 program, led by Population Services International (PSI), aims to increase the uptake of and perception of modern contraceptives and reduce unintended pregnancies among girls in Nigeria, Ethiopia, and Tanzania. 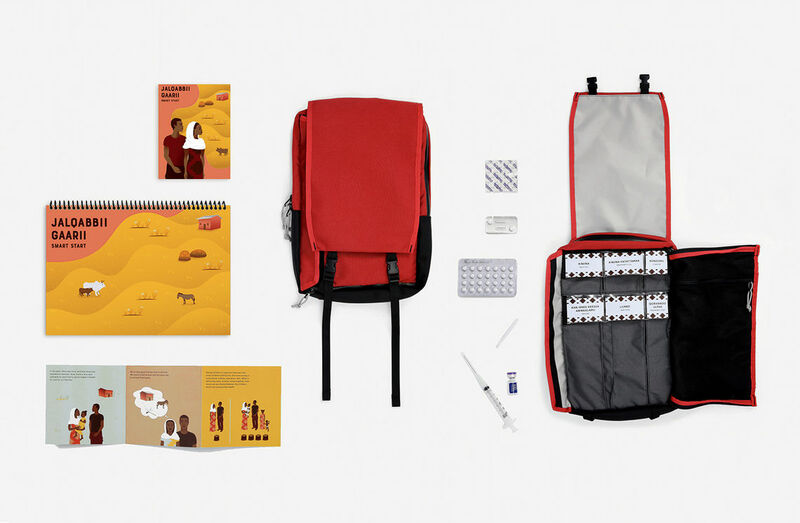 In 2016, IDEO.org was engaged to reach 60-70k girls in rural Ethiopia within the span of three years. 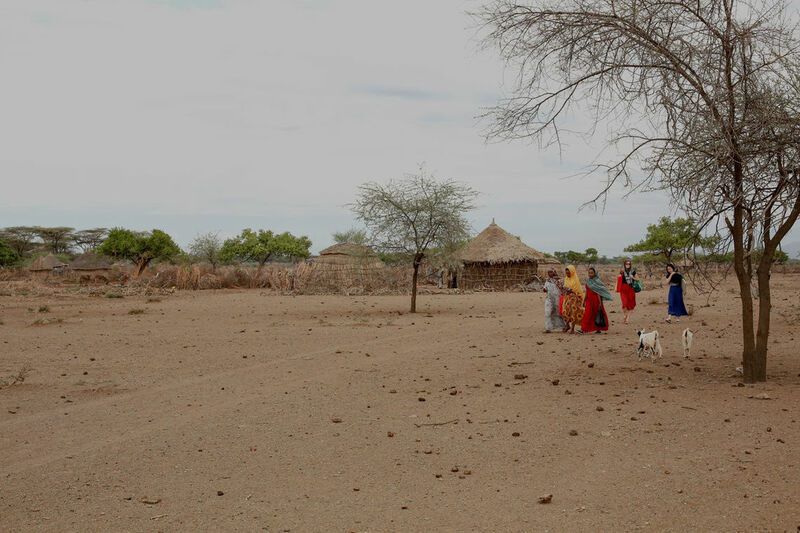 In the sprawling, rural Ethiopian landscape, it’s often a two-hour walk for girls to get to the closest health post, and the first time a girl meets her health worker is when the Health Extension Worker (HEW) comes to immunize her child after giving birth. Even more, girls express fears that using contraception—especially within the institution of marriage—can cause infertility and can be seen as a sign of promiscuity. 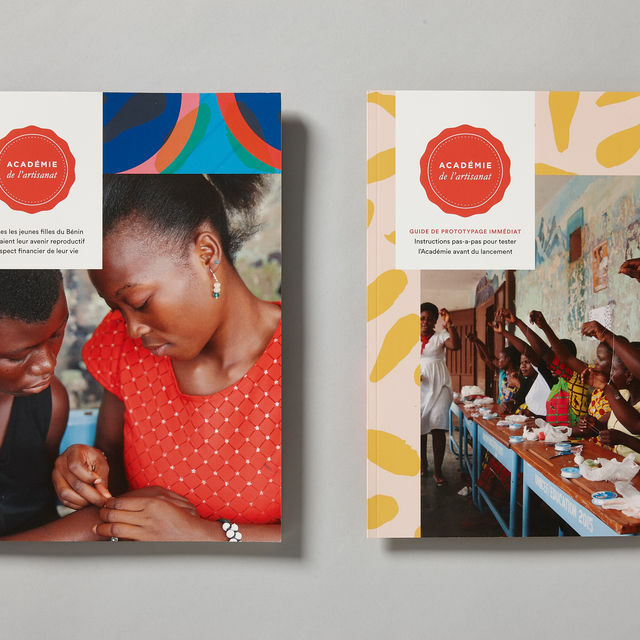 IDEO.org needed an answer to a challenge of both demand—contraception is seen at odds with fertility (i.e., what makes a woman valuable)—and of access—health posts, the most decentralized unit of the care system, are far away from girls. The solution, Smart Start, links financial health to family planning using straightforward messaging that speaks directly young couples’ immediate needs: planning for the lives, and the families, that they want. Delivered by HEWs, Smart Start finds and reaches them where they are, instead of asking girls to seek out contraception. Since its launch, Smart Start has scaled to 241 sites. 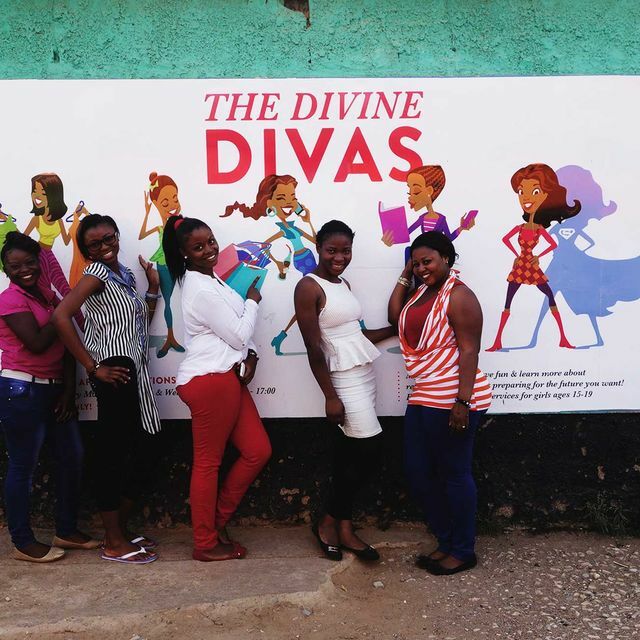 One in two girls who interacts with Smart Start adopts a modern contraceptive method, and of the methods chosen, nine in 10 are injectables and implants. Culturally, girls in rural Ethiopia feel the need to prove their fertility to secure their marriage. A lot hinges on this first child—often a girl lives with her husband’s family until it’s time to have a child and won’t use family planning before this milestone. In order to make a case for contraception, it needed to be presented as something that girls—and the community at large—could get behind. 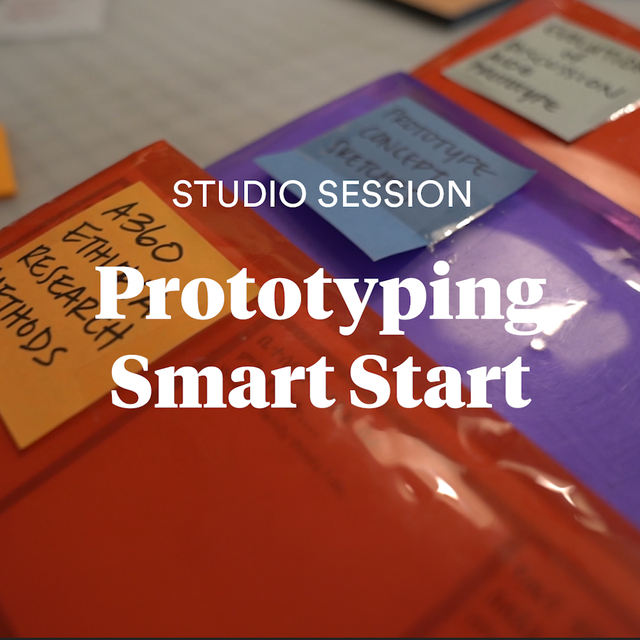 The IDEO.org team—in partnership with young people, Ministry of Health members, and the A360 consortium—explored different messages from dating to physical health to financial planning. When the team tested a baby cost calculator they knew they were ushering in the solution. The Smart Start message ultimately linked financial stability to family planning, presenting contraception simply and pragmatically—contraception is the leaway to save up for a home before a first born; it’s the difference between comfortably raising one child or making ends meet with two; it’s something that matters to husbands and community members; it’s understood in terms of prosperity. 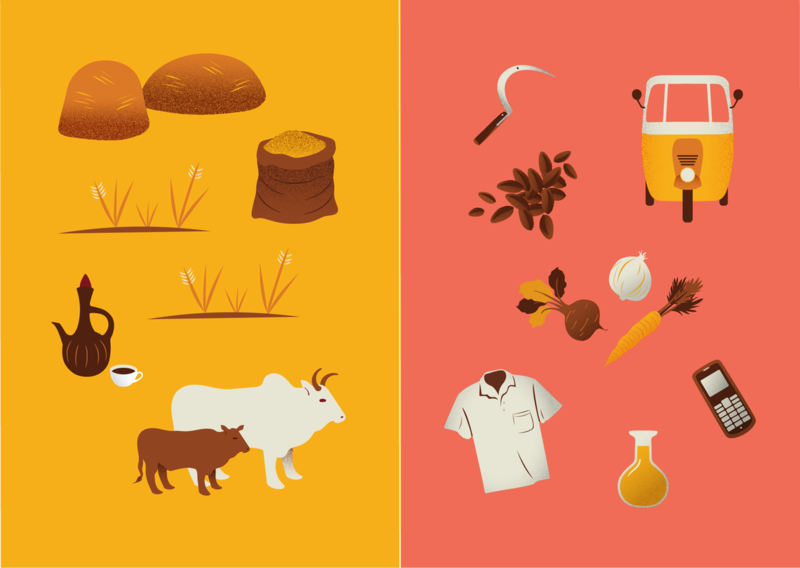 Virtually any young, rural person in Ethiopia understands the value of a bag of teff (a common grain in Ethiopia). 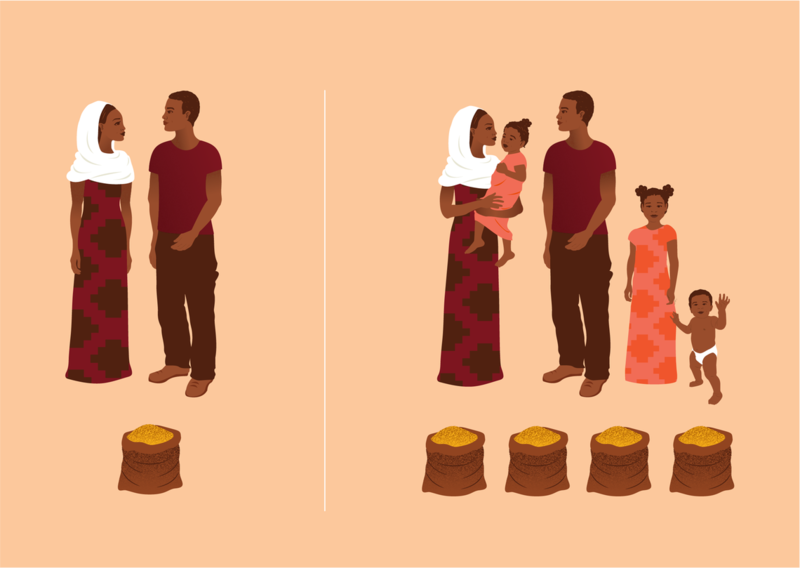 So, what the IDEO.org team did was translate its implicit value (think: “It costs X bags of teff to raise a child,” or “If you wait X months before your first child, you can afford a home”) into a clean visual system. 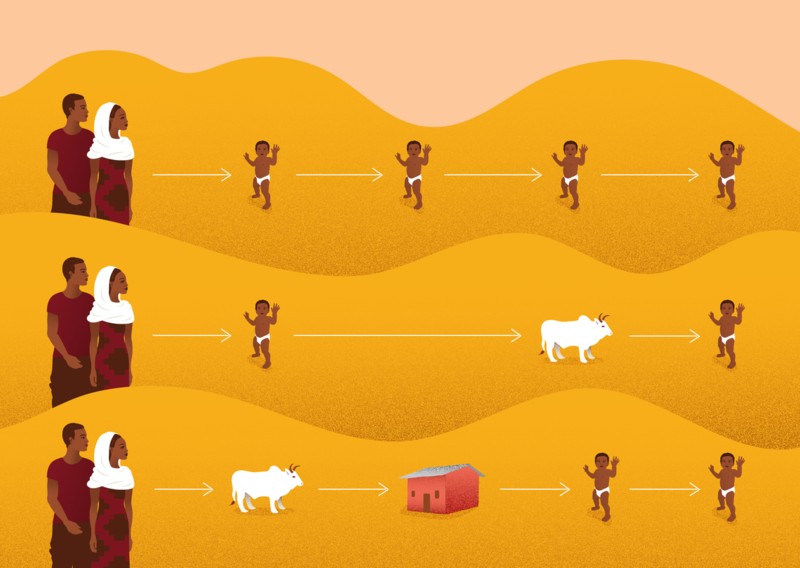 The illustrations are clear enough to communicate the tradeoffs between “waiting” and “having” and lean-enough to seamlessly scale across regions, languages, levels of education and literacy. 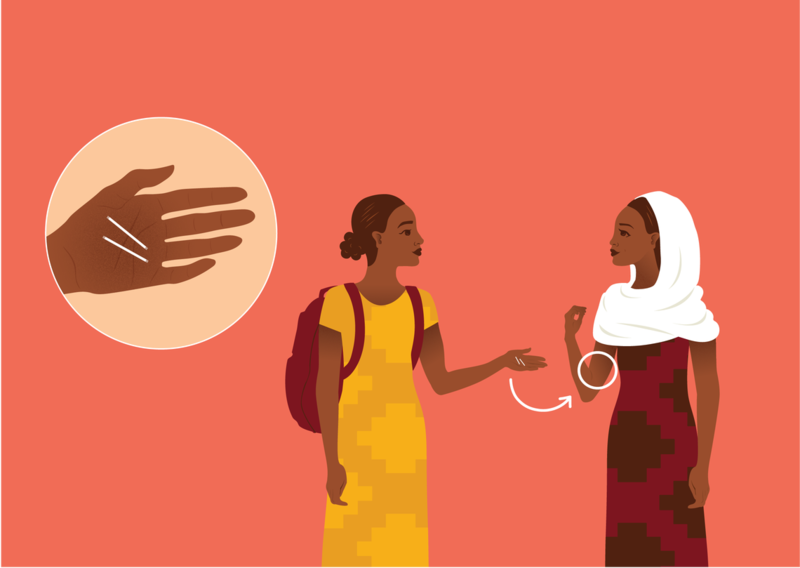 Health Extension workers can lean on this discussion aide to introduce contraception in a friendly, approachable, and highly-visual way that builds the desirability of contraception for girls, while also garnering acceptance from their community. The final solution was so sticky that when the team visited girls months after they had a Smart Start counseling session, most of them were able to recite back the key messages of the health worker’s flipbook, unaided after a single session. IDEO.org knew that in order to design for access, the services would need to go to her. The local navigator role was created to, quite practically, house hunt and identify the young couples in the area, introduce them to Smart Start, and capacitate the HEW to pick up where they left off. Navigators are young female mentors trained to bring warmth and lightness to counselling sessions as they present materials. The vision is to have Smart Start be part of the national agenda for adolescent sexual and reproductive health services. PSI is currently in the process of optimizing the Smart Start program for handover to the Ethiopian Ministry of Health, poised to train 3,000 new HEWs and 155 model woredas (“districts”) on the Smart Start curriculum. Smart Start’s message is transforming the behaviors and norms of the people it serves. 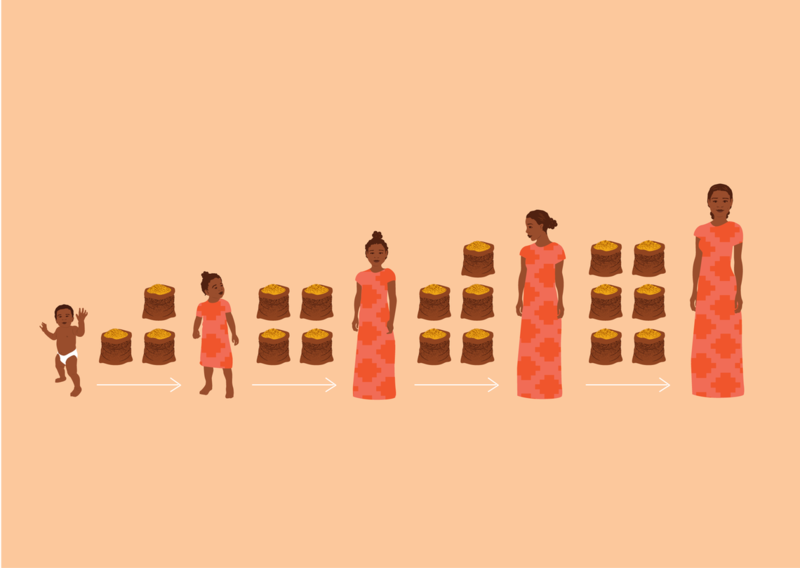 One in two girls who takes up a method through Smart Start does not have any children. 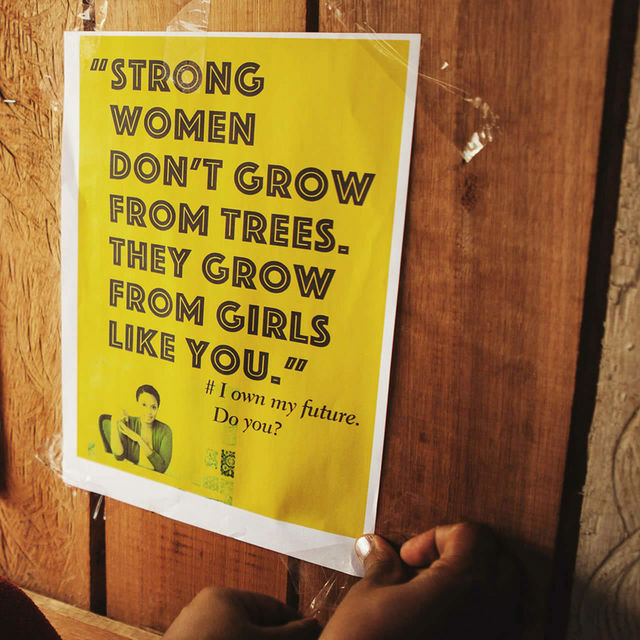 Girls, couples, and communities in woredas around the country are prioritizing financial prosperity over the social expectations that hold girls accountable to proving their fertility right away. The tradeoffs of protecting prosperity by building smaller families is a message that all, young and old, can get behind.